Picking recommended ELISA Kits will save you time - yet all 87 products covered by our Money Back Guarantee! 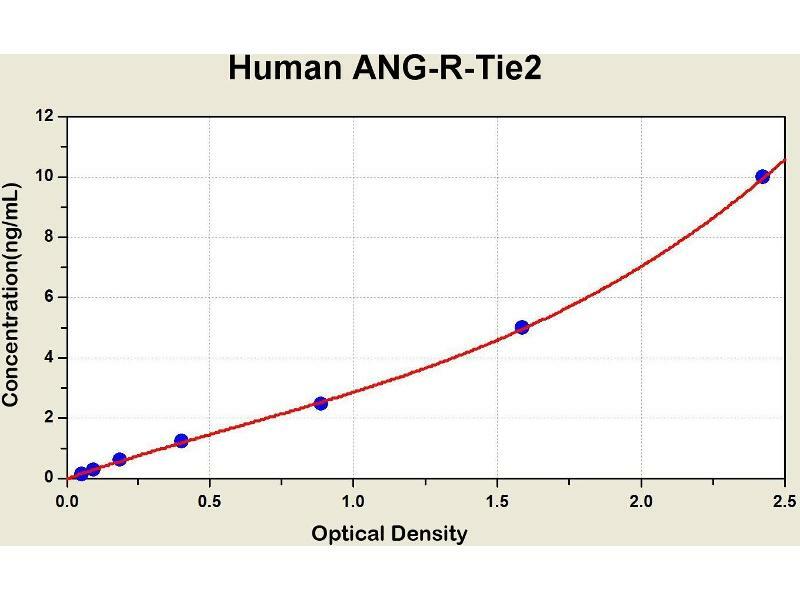 Diagramm of the ELISA kit to detect Human ANG-R-T1 e2with the optical density on the x-axis and the concentration on the y-axis. 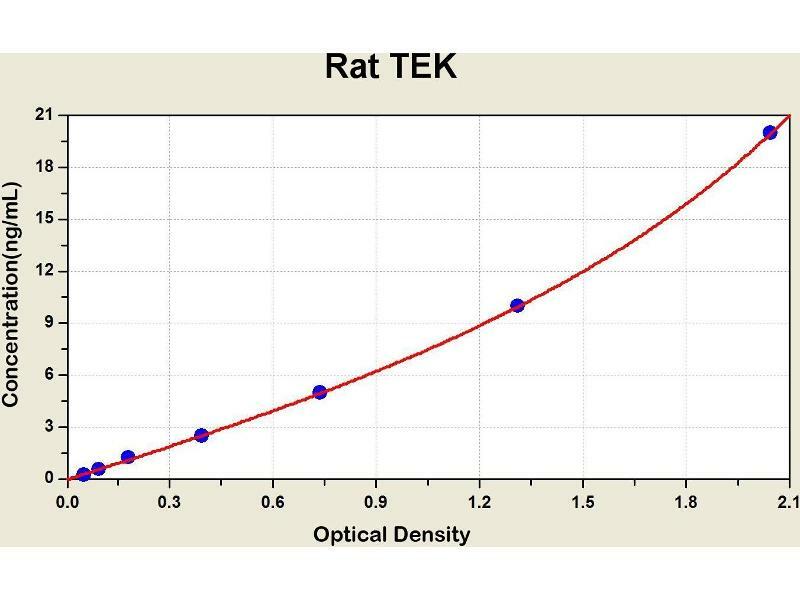 Diagramm of the ELISA kit to detect Rat TEKwith the optical density on the x-axis and the concentration on the y-axis. 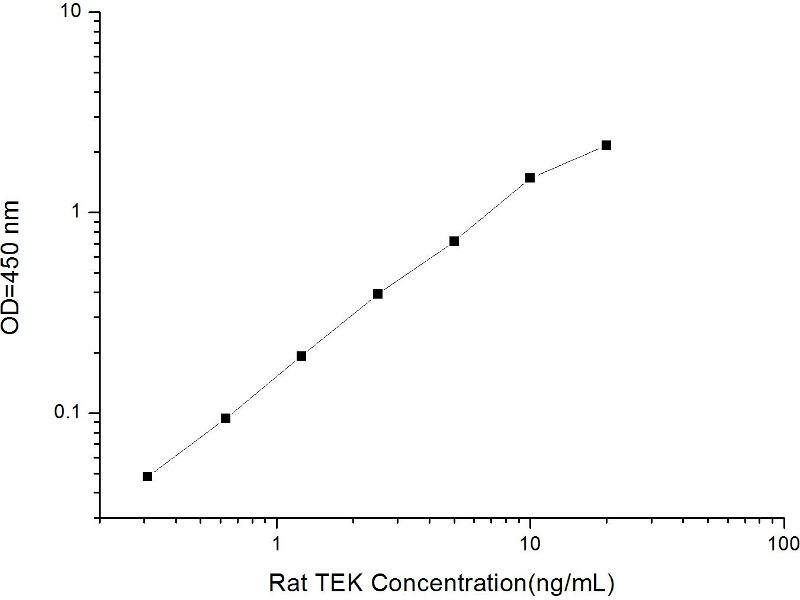 The TEK receptor tyrosine kinase is expressed almost exclusively in endothelial cells in mice, rats, and humans. This receptor possesses a unique extracellular domain containing 2 immunoglobulin-like loops separated by 3 epidermal growth factor-like repeats that are connected to 3 fibronectin type III-like repeats. The ligand for the receptor is angiopoietin-1. Defects in TEK are associated with inherited venous malformations\; the TEK signaling pathway appears to be critical for endothelial cell-smooth muscle cell communication in venous morphogenesis. 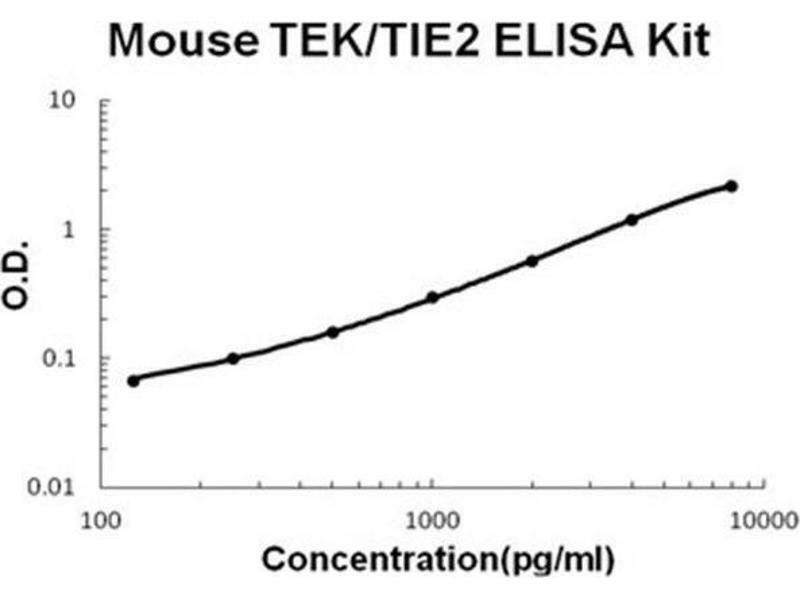 TEK is closely related to the TIE receptor tyrosine kinase.